Do you follow the signs? Have you ever had such clear messages from the Universe that you were utterly compelled to follow them? Even (and especially) when they make no logical sense. The important ones rarely do, it seems. I’m just back from a wonderful trip to the USA and amidst the joy of jetlag, I’ve been reflecting on the steps that lead up to it. I could be here for a while, but will try to give a condensed version. You may need a cuppa. Let me take you back to a morning in October 2013. 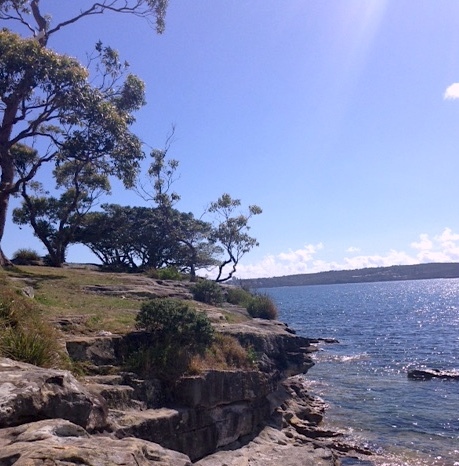 I went for a walk to one of my favourite meditation spots at Rocky Point Island on Balmoral Beach in Sydney. Something about this divine place seems to bring about some strong guidance and clarity. Magic occurs every time. On the morning in question I chose Abundance Alchemical oil as my meditation tool. I was feeling stuck, struggling financially and hadn’t meditated with it for a while. I always see so much detail in my meditation practice (may be due to my sun, moon and mercury in Pisces) but I was surprised when the Statue of Liberty immediately appeared before me. The image of it, not the actual structure! My mind chipped in with ‘well it must be symbolic as you’ve got no money to head off to New York’. However, an even stronger feeling of certainty flooded through me and a knowing ‘it’s not symbolic. You ARE going to New York but not immediately. It will be the start of a new abundant chapter. Trust’. I sat there for a while, bemused. It seemed so far from my current reality. 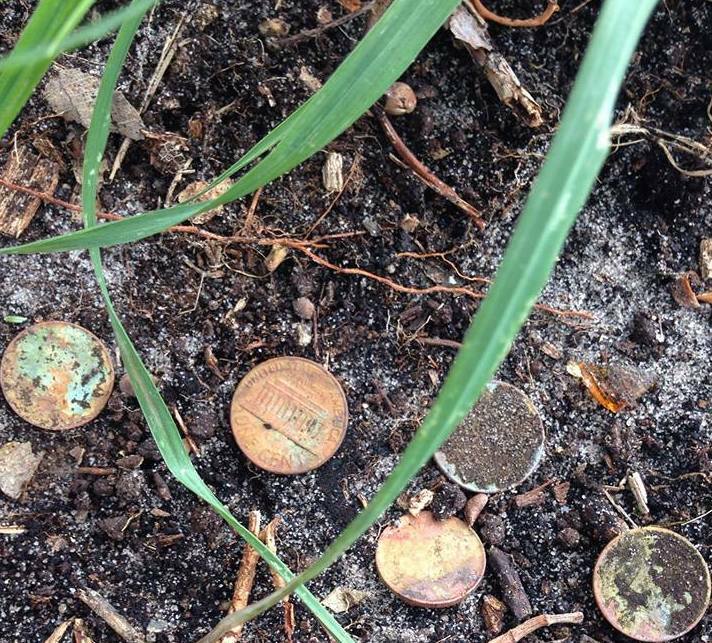 Getting to my feet, I was stunned to see that I had been sitting on some US currency. I kid you not. Ok you can see it wasn’t enough to pay for the airfare, but it was a start haha! 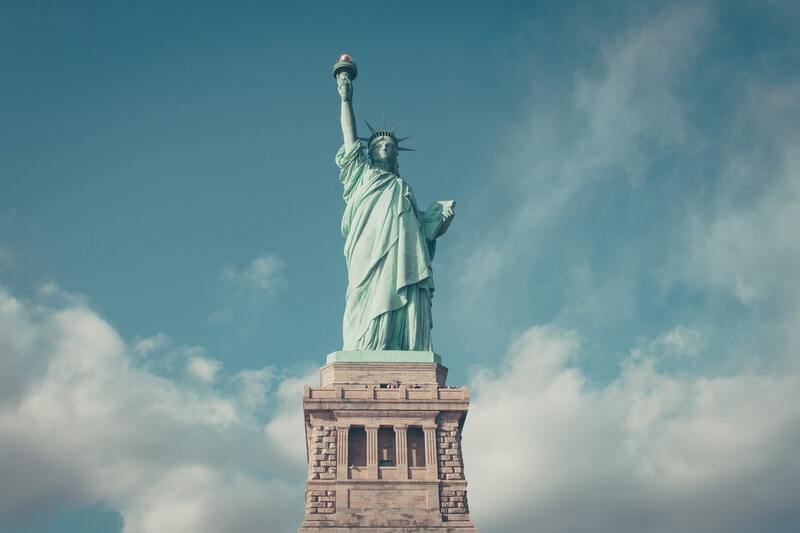 Over the next few months, from time to time, I saw the Statue of Liberty again in my meditation practice but I didn’t get too excited. However, I remained open to the fact ‘circumstances can change in a moment’. I noticed that I was starting to bring more of a coaching style into my one-on-one sessions. I had worked with a couple of brilliant coaches and knew how powerful and transformative the process could be. I had some judgements about courses I saw being advertised as they often seemed lacking in substance. There was nothing I was drawn to and so I just let it go. It occurred to me that I could work with people in an one-on-one basis by using my skills and experience to offer Intuitive Readings/Distant Healings from home. I offered this as a service and was immediately inundated and at one point was working 7 days per week for a few months. Although I love doing these fascinating sessions and I’m usually drawn into a couple of chakras that are needing some love, I’m careful to ensure there are suggestions for peeps to work on addressing directly to bring about the change they are seeking. We have to participate fully in our own healing process and realise the power is within ourselves. It can be transformative to have someone hold space and reflect our light back to us, but ultimately only we can create the change. I started to realise it would be beneficial for me to study a coaching course. 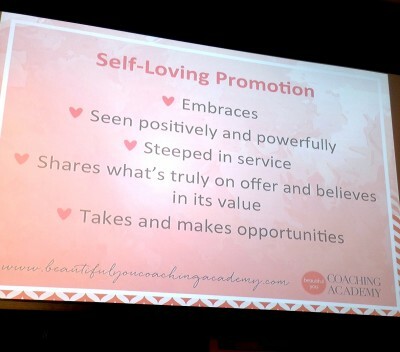 Shortly after, Julie Parker, or #JLove, as she was renamed by Tanya Geisler, announced she was creating the Beautiful You Coaching Academy for heart-centred coaches. I immediately felt ‘well if I was ever going to do a coaching course, that’s the one I would do’. I had to chuckle as I felt as though I couldn’t get away from the topic. The more I saw and heard, the more I was convinced that yes that was the course for me! Anyone who knows Julie will verify, she’s extremely caring and warm, a wicked sense of humour balanced with common sense. Julie’s grounded, level-headed and you immediately feel comfortable in her presence. (NB Julie seems to have an uncanny knack of pre-empting my thought processes and then providing a solution. 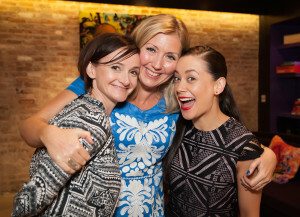 Within a couple of weeks of me deciding I wanted to join a small women’s mastermind group, she announced she was creating one. That’s a future post). I sometimes believe Julie may be a Fairy Lovemother! Yep there’s a new hashtag right there #fairylovemother). I signed up for 6 months of learning and growth in an intimate group of coaches, who all supported and shared the experience in a loving way. The divine Rachel MacDonald was also the super helpful and insightful trainer for my group. It’s a beautiful community, of which I’m still fortunate enough to be a part of, and it’s been amazing to witness what each coach is focussing on, how their business is unfolding and celebrate. One of Julie’s comments that stayed with me, is about how often when people start to study coaching, they believe they are learning new skills. Yes that’s true but it’s also about the fact they are using coaching as a framework to bring ALL of their skills and experience together. In doing this and being fully ourselves, we are then able to attract our ideal, amazing clients – and encourage and support them in being fully themselves! This resonated so deeply for me and is one of Julie’s gems I treasure. Beautiful connections were made and coaching buddy partnerships formed. I was blessed to be partnered with my gorgeous friend, Amanda Rootsey, eco-model, eco-consultant, co-founder of the Vegan Card and also Gentle Living Coach. There’s so much more I could say here, but I’m trying not to condense five separate posts into one! I’m a rambler, as Mandy will agree! The coaching course itself covers topics (in depth) such as :- being coachable (as a coach); having a beginner’s mindset; qualities and values of a heart-centred coach; owning your ‘onlyness’ (really owning ALL parts of you and what you have to offer); your passion and purpose as a coach; the skills and life experience you bring to your work as a coach; communication styles; embracing authentic self-promotion; building self-confidence; creating a coaching agreement; creating the ideal workspace for you; feeling-based goals; creating a vision and celebrating progress and each step along the way; the pillars of your business; dealing with challenges that can arise; group coaching and group dynamics; ecourses; personal branding; different tools to bring to your coaching practice; money and mindset; client attraction etc. This is just a very brief overview of some of the topics covered. It’s a wonderful self-development course that is highly enjoyable. Before we knew it, the course had almost come to an end and it was the final quarter of the year. Each time a course intake was announced it rapidly sold out. It seemed like the people who resonated with the loving intention behind the course, were not hesitating in answering the call in their hearts. 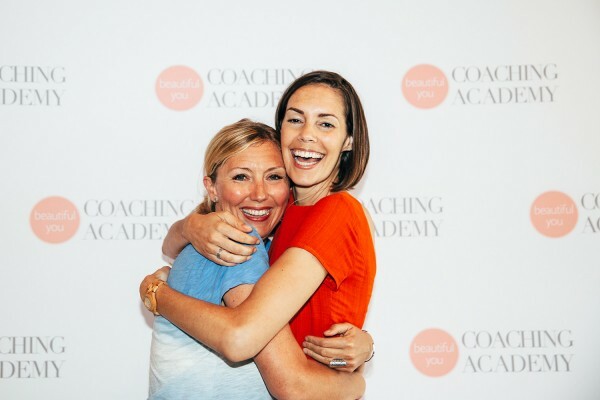 Julie announced that the Beautiful You Coaching Academy was going to host some inspiration days for coaching students and graduates and yes, you guessed it. The first inspiration was to take place in June 2015 in New York. When I saw that post, I immediately knew I would be there. I felt ‘the yes’. I had dinner with a friend, also a Beautiful You Coach, Freya Dwyer and we toasted to ‘New York’. A week or so later, I received an email reminder from a lady about a clairvoyant reading. I had made this appointment a few months previously and had forgotten about it. Within the first 5 minutes Ly de Angeles said to me ‘I can see you in Queensland very soon to meet a women’s group (I was due to fly to the Gold Coast for the Beautiful You Coaching Academy Graduation the following week). I can also see you going south for a couple of trips – Melbourne (went in February) and possibly New Zealand (going to Queenstown next week). Later on she said “You’re going to New York mid-June for a conference. I can see you speaking. June/July is going to be the start of a whole new chapter.” Woohoo! 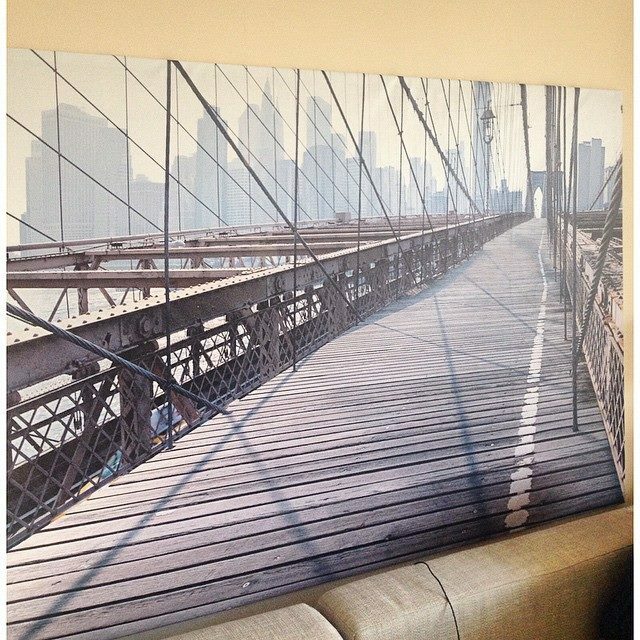 As we stood in front of the image I knew instantly “we are going to walk over the bridge together.” He said “Wouldn’t it be amazing to walk over it? I always feel so inspired looking at it as it reminds me of the start of a journey.” Not wanting to come across like a bunny boiler I kept my intuition to myself. 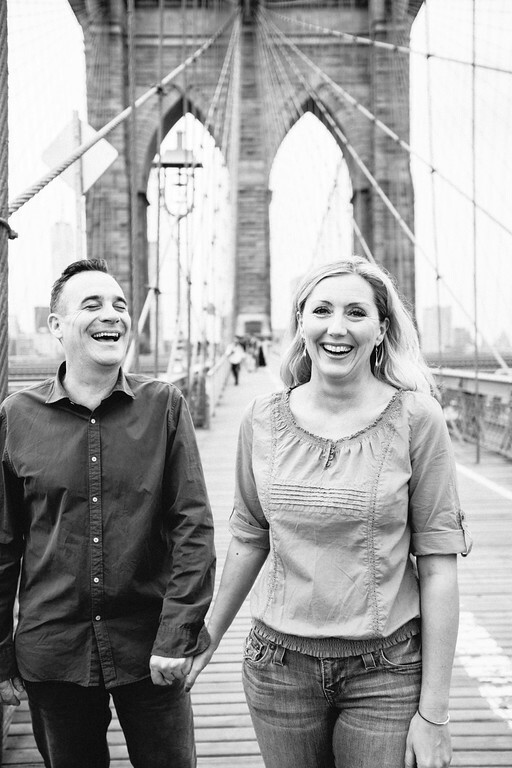 I mentioned I was going to New York mid-June for an event, with the Beautiful You Coaching Academy.” He then explained he would be celebrating a big birthday in June. I tried not to laugh out loud. Long story short, the flights were booked 6 weeks later. After much confusion at the airport over our seats, meals and coding on the tickets, we ended up flying Business Class the whole way. Just before we left a friend mentioned a professional photographic service you can book in New York (and in major cities worldwide) called Flytographer. The premise is to capture a special moment on holiday as when often you are travelling with someone, you end up mainly with photos of you both separately. You know it. I booked a slot for the Brooklyn Bridge for his birthday. Is he a good manifestor or what?? It was a surreal moment to catch the Staten Island Ferry and sail past The Statue of Liberty. How magical it was to see that meditation and manifestation come to life. If you can take one thing from this – trust and keep going. You have no idea what is on the horizon. Life can change rapidly. And does. There is so much more waiting for you. Back to the Beautiful You Coaching Academy Inspiration Day itself. So much love in the room. I won’t possibly be able to do it justice and convey the amount of care and thought had gone into the whole event. We were at a fabulous venue. I was quite jetlagged and hormonal, so felt overly sensitive and susceptible to all the heartfelt sharing and connecting with so many inspiring women. I’m not a crier but geez I had to control the waterworks a few times. The incomparable Julie Parker, aka #JLove and #fairylovemother, opened and closed the day by sharing her wisdom and discussed the importance of self-love and business. Topics such as: branding and how this must come from the heart and reflect the essence of who you are; being unashamedly yourself and not being influenced by others in the market; having a loving relationship with money and valuing your skills and your time; attracting the right clients by being clear in who you are, who you love to work with and offer your services to; your belief in yourself beyond a monetary value. That’s only a brief snippet. One of my favourite moments was where Julie shared an image of Kermit and Miss Piggy getting married in New York! The lovely Selena Soo, Business & Publicity Strategist, discussed the importance of how to build beautiful business relationships. Topics such as being of service, genuinely reaching out to those you admire in a meaningful (and non-stalker way). She shared how this works for her and assists entrepeneurs and authors to build their businesses and elevate their brands. I loved how transparent and down to earth she is. It was also interesting to hear her talk about being an introvert, as so many online people actually are. Yet she has managed to form great relationships with other inspiring entrepeneurs such as Marie Forleo and Ramit Sethi. She is thought provoking and genuine. I find what she shared immensely helpful. 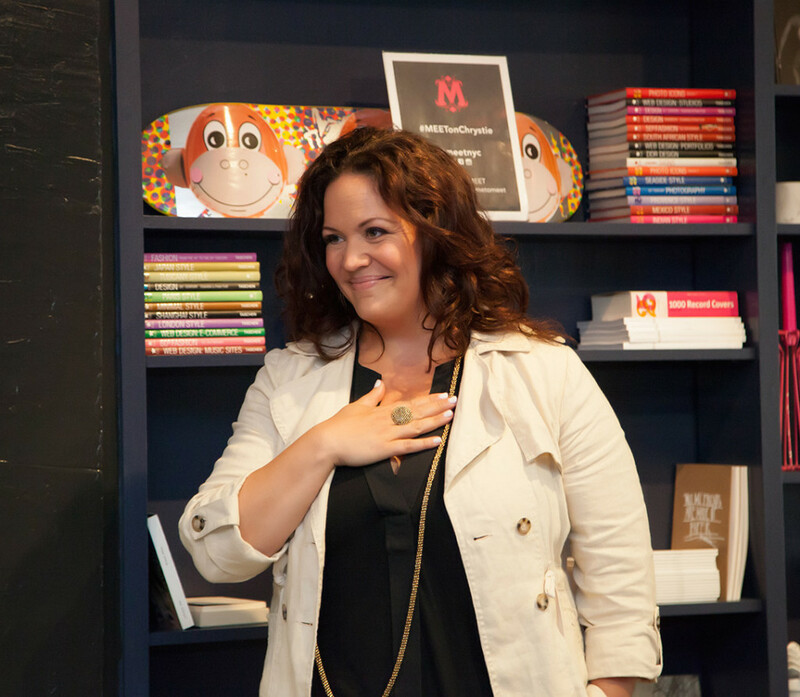 The gorgeous Tanya Geisler discussed the Impostor Complex and the lies it tells us to keep us small, protected, hidden. You know the ones. I’m not ready yet. I’ve got nothing of value to share. Who am I? I don’t have a PhD. I’m not a published author. Soon enough they will find out that I’m a fake and shouldn’t be here. On they go. She exposed the lies for what they are and shared some wonderful examples of how highly successful people still experience this, no matter how well they do. One of my favourite quotes that she shared was from John Lennon “Part of me suspects I’m a loser and the other part of me thinks I’m God Almighty”. I know you resonate with this so check out her wonderful Ted Talk on this topic later. You can also find out more and receive an ebook that contains the lies of the Impostor Complex here. I also enjoyed the authors’ panel where two writers shared their experiences of traditional publishing and self-publishing with pros and cons. Christine Egan of “The Healthy Girl’s Guide To Breast Cancer” and Michelle Ward of “The Declaration of You” were very generous and honest about all the good and not-so-good parts of their experiences. I was delighted to chat to the ladies later and came away with their fabulous books. Lastly but not least, I was thrilled to be a part of a coaches’ panel with two beautiful ladies I admire and adore: Jade McKenzie of The Event Head and Amy Taylor-Kabbatz of Happy Mama with Amy. We discussed the niches that we focus on and are passionate about with topics such as:- why we had decided to work in a specific niche; whether or not we had any fear about doing so, knowing that it would turn some away from working with us; the benefits we experienced and what advice we would give to other coaches. It was so insightful to hear the ladies’ perspectives and also have a Q and A session at the end with the attendees. Jade is an events specialist and offers coaching services to heart-based entrepeneurs around the world, who have an important message to share. She explained how she came to hone in on that area of expertise with the benefits and challenges. Amy is a beautiful Mother to three young children, a journalist and coaches mothers to have a loving relationship with themselves, especially when they embark on motherhood. It was such a dynamic and frank discussion. 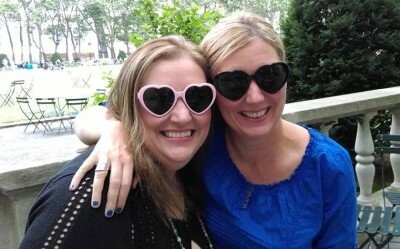 Amy Taylor-Kabbaz of Happy Mama and Jade McKenzie of Event Head – my co-panelists in New York! I talked about why I feel so passionately about focussing on this hugely growing demographic of women, who are childfree or childless, to create a meaningful life they love. It was so beautiful to share this experience with each other and verbalise our thoughts, feelings and support each other. (NB Check out my podcast series Unclassified Woman – Season 1 was on this topic). That’s also one of the things I love about the experience with the Beautiful You Coaching Academy. It’s been very much about women supporting other women, creating community and collaborating. There are also some lucky men who are enrolled in the course now too. There was quite an international audience with coaches and trainee coaches there from all over the globe! Many had travelled so far to be there and it was lovely to make so many connections. It was like an extraordinary meeting of the United Nations. It was such a beautiful, magical day and will always have a special place in my heart. If are you also wondering why work with a coach, then check out my post “7 Benefits of Working with a coach” to find out! 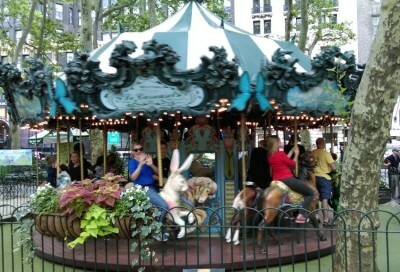 More to share about my New York recommendations but I think this is plenty to be going on with for one post. In the wise words of Frank Sinatra, it’s up to you, beautiful you, New York, New York! ← Why do you want a child? 4 Responses to Do you follow the signs?